A recent CNN poll shows that Democrats have a 10 point lead over Republicans in a generic ballot test, 52% of likely voters to 42%. But wait a minute, has the liberal MSM leaned nothing from the 2016 elections and all of the bogus polling? However, what should we expect from CNN Fake News? Let’s take a look at the methodology of the poll. So in a poll where CNN states that Democrats have a 10% point lead, they sampled 34% Democrats and only 25% Republicans. Really CNN? Then there was a so-called 40% Independent. Democrats maintain a wide lead over Republicans in the race for control of the House of Representatives, a new CNN Poll conducted by SSRS finds, including a 10-point lead among those most likely to turn out this November. In a generic ballot test, 52% of likely voters back the Democratic candidate for House of Representatives in their district while 42% back the Republican. Among all registered voters, Democrats hold a 12-point margin over the GOP, suggesting preferences have not shifted much since an August CNN Poll, which did not include an assessment of likely voters. A total of 1,003 adults were interviewed by telephone nationwide by live interviewers calling both landline and cell phones. Interviews were conducted in English and Spanish. Among the entire sample, 34% described themselves as Democrats, 25% described themselves as Republicans, and 40% described themselves as independents or members of another party. Didn’t CNN already dump their former polling firm ORC after the 2016 elections because of the BS polling and data? No one trusts fake news and fake polling. It does not appear that much has changed. Most of the headlines about CNN’s new public-opinion poll this week focused on President Donald Trump’s 38 percent approval rating. But there was also this: After a 2016 election in which most of the data underestimated Trump’s chances, CNN has a new pollster. The new poll was conducted by SSRS, a major survey-research company, instead of CNN’s old partner, ORC International. CNN confirmed this week that its partnership with ORC, which included co-branding of the poll, has ended after more than a decade. The switch comes at a perilous moment for both the media and the polling industry. Attacked by the president as “fake news” for results he disagrees with, pollsters and the news organizations they work with inspire little confidence from the public. 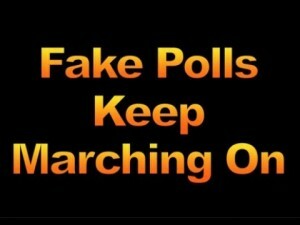 A Marist-McClatchy poll — yes, a poll about polling — back in March found that only 7 percent of Americans have a great deal of trust in polls, and just 29 percent said they have a good amount of trust in polls. 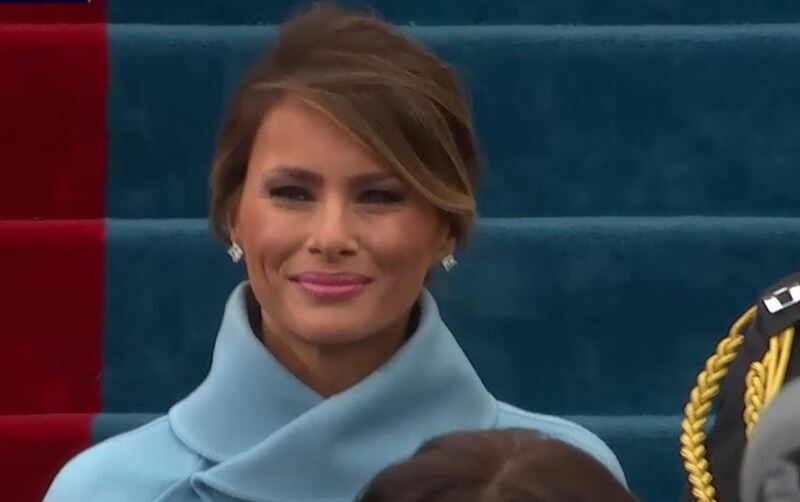 FIRST LADY MELANIA TRUMPS FAVORABILITY RATINGS ARE WAY UP!!! According to new CNN/ORC poll, First lady Melania Trump’s favorability ratings are up 16 points from pre-inauguration ones. Imagine that? As people get to know her, see her conduct herself and speak, she is winning them over. Her popularity is soaring and will continue to rise as she further fits into the role as first lady and does an amazing job. The more Americans learn about first lady Melania Trump, the more they like her. Her favorability rating is up 16 points since her husband was sworn-in as President, according to a CNN/ORC poll released Wednesday in CNN’s COVER/LINE newsletter. About 52% of Americans have a favorable opinion of Melania Trump, an increase from 36% pre-inauguration. In February 2016, the former model’s favorable rating was a paltry 24%, her unfavorable was 31% and 23% had never even heard of her. Now, just 3% say they don’t know who the first lady is, and her unfavorable rate has held steady at 32%. Most of the recent uptick in favorable results are due to those undecided Americans, or those who had yet to form an opinion. Pre-inauguration, 23% had no opinion about the first lady, compared with 12% now. If the rolls were reversed and the GOP gave a first lady such low ratings they would be called anti-woman. RUT-ROH, Democrats and the liberal MSM find themselves in a pickle after President Donald Trump’s first Address to Congress last night. It was a resounding success! 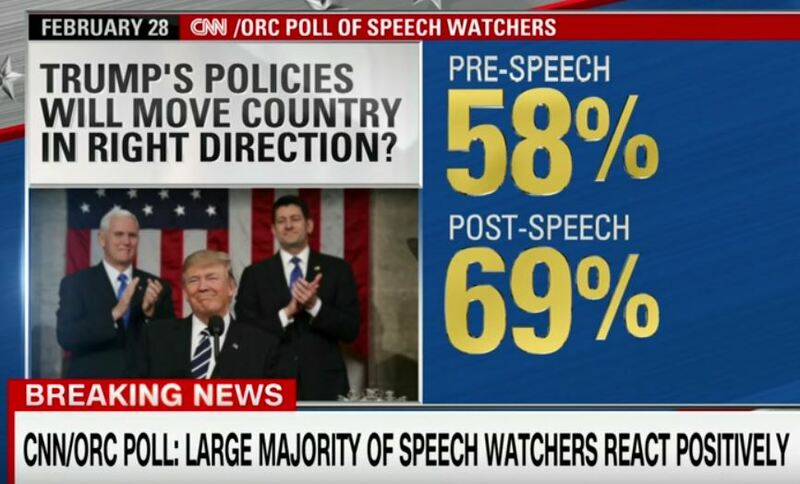 According to a new CNN/ORC poll of speech-watchers stated that 57% of them said that they had a very positive reaction to President Trump’s speech and 7 in 10 said the speech made them feel more optimistic about the direction of the country. Trump scored high marks on his economic proposed policies at 72%, 70% on terrorism and 64% with taxes. Don’t look now Democrats, but you have a major problem if you think you are going to just obstruct this president. That is not the will of the people. 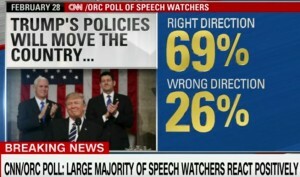 Of course CNN tried to down play Trump’s amazing CNN poll results, because that is what the bias MSM does, by stating that people who choose to watch a political speech such as this one tend to be more supportive of the speaker. Really, Trump supporters are watching CNN? President Donald Trump’s first address to Congress received largely positive reviews from viewers, with 57% who tuned in saying they had a very positive reaction to the speech, according to a new CNN/ORC poll of speech-watchers. Nearly 7-in-10 who watched said the President’s proposed policies would move the country in the right direction and almost two-thirds said the president has the right priorities for the country. Overall, about 7-in-10 said the speech made them feel more optimistic about the direction of the country. The survey, conducted among a group of Americans who said in interviews conducted before the speech that they planned to watch and agreed to be re-contacted, only reflects the views of those who watched the speech, not of all Americans. On specific issues, Trump scored the highest marks for his proposed policies on the economy, with 72% saying those went in the right direction. Almost as many, 70%, said the same about his terrorism proposals. Slightly fewer, but still a majority, felt his policies on taxes (64%), immigration (62%) or health care (61%) were heading in the right direction. Ideologically, about two-thirds saw Trump’s speech as about right, while roughly on-quarter (26%) pegged it as too conservative. Just 8% said it wasn’t conservative enough. Let’s correct something that CNN some what under reported above in their story. 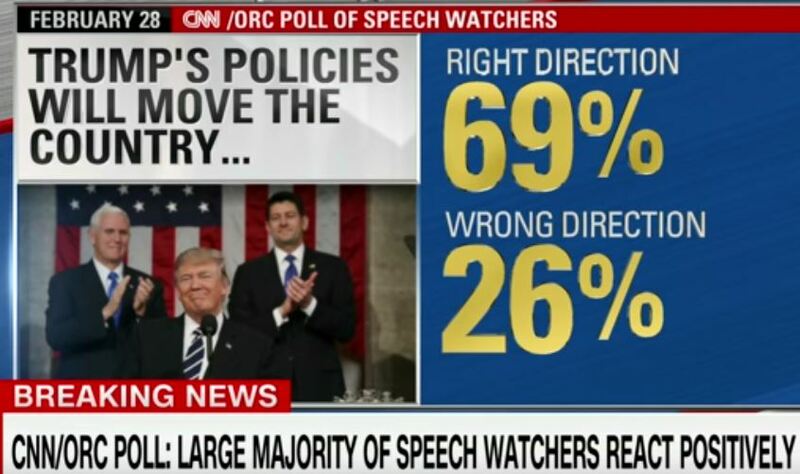 They stated that 57% of Trump speech watchers were very positive, which is correct, but what they forget to head line is that another 21% were some what positive. This means that an astounding 78% of those who watched this speech came away with a positive message from the president that the MSM, including CNN have continually bashed and acted like they were the opposition party in their bias reporting. And making matters even worse for liberals, Democrats and the MSM, the Trump momentum increased as the speech went on as President Donald J. Trump won over many that had pause for alarm prior to his speech. 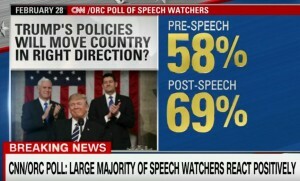 Prior to the speech, 58% thought his policies would move in the right direction and by the speeches end, that was up to 69%. WOW. Democrats best be very careful. Americans want America to be great again, they want well paying jobs, they want real affordable healthcare that they can use, they want better education and they want illegal immigration to stop. If Democrats are seen as being nothing more than an obstruction at every turn to a president, even on issues that are Democrat one’s, they will pay an even deeper price in the 2018 elections and will be in the wilderness for a generation. 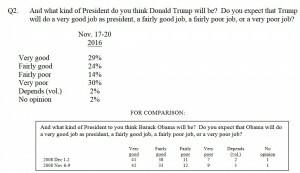 According to the most recent CNN poll, even before president-elect Donald Trump as been sworn into office, 53% of Americans say that they think Trump will do a very or fairly good job as president, while 40% say he will not. Considering Donald Trump won the presidency in a landslide in the electoral college, but lost the national vote, 48% to 46.6%, this would mean that 5% of those who did not vote for Trump think he will do a good job as president. At least they are willing to give him a chance, unlike the liberal MSM and pouting liberals who still cannot cope with the fact they lost. Many on the Left cannot seem to be able to take Tom Hanks pearls of wisdom and hope. 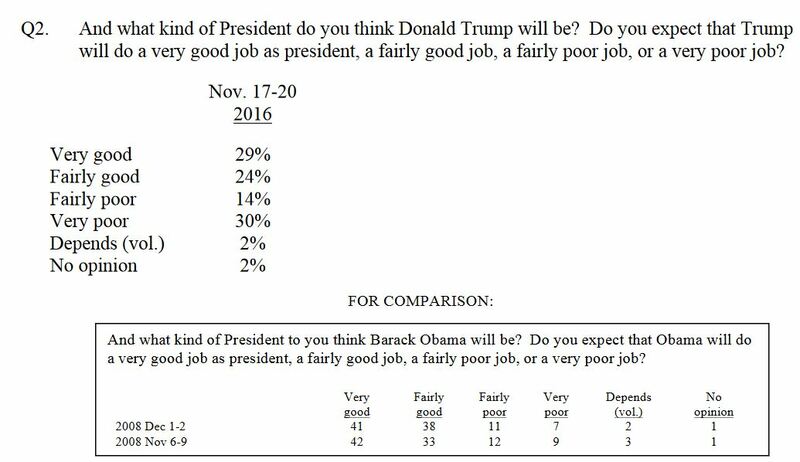 Take a look at the CNN poll below and see in comparison the blind faith that Americans gave Barack Obama when he came into office. Hey America, how did that “hopey-changey” stuff work out for you? Hmm … so well that Donald Trump president was born. Two weeks after Election Day, most Americans say President-elect Donald Trump will ultimately do a good job as president, though fewer approve of the way he’s handled the transition so far, according to a new CNN/ORC Poll. A narrow majority (53%), say they think Trump will do a very or fairly good job as president, and 40% say they have a lot of confidence in Trump to deal with the economy, a share that outpaces the percentage who had that much confidence in Barack Obama, George W. Bush, Bill Clinton or Ronald Reagan ahead of their first inaugurations. The fact of the matter is that many on the Left and the MSM cannot have a successful presidency other wise it means their doom, even though it benefits the United States and its citizens. A better US economy, safer from terrorism, energy independence, creation of real paying jobs, reduction in regulations, combating the flood of illegal immigration, school choice and employment empowerment zones for minorities … these are all great things that would benefit America, yet destroy the Democrat party for a lifetime.